After the 12-week program, students have the option to join its unique Career Support program, which has contains additional training for Job Hacking, a job accountability group, and team projects to add to one’s portfolio. To apply, students can submit an application via the website, then go through a series of two interviews with an admissions advisor. There are no coding challenges, but students must complete 4 weeks of prework before the program starts. The daytime course takes place Mondays through Fridays, while the part-time course takes place on Sundays and weeknights, designed to allow the working person to attend a coding bootcamp while still working a daytime job. Definitely worth your time, IF you're serious about learning to code! I built such a cool thing! Ask for details about payment plans. Some introductory work given several weeks in advance of the start of the program. Course Report is excited to offer an exclusive Actualize scholarship for $500 off tuition! Fill out the application below to submit this scholarship to Actualize. By submitting, you acknowledge that your information will be shared with Actualize. Let's see... to start I was a bit skeptical as I'm sure you will be also starting something new. I knew what it was I wanted to do (learn to develop my own websites so I could stop paying thousands of dollars for a finished project nothing as I wanted) but wasn't sure which would be the best avenue to pursue. I thought about attending a JC and obtaining a CS degree but quickly found out how much I can't stand an instructor who is as dry (no pun intended) as boiled sand and speaks like Bill Stein. I needed something that was in line with my character and learning style. I checked out a few bootcamps, which all claimed to be the best (marketing tool), yet the only beacon in the dark was Actualize. The emphasized teaching over learning to code and how their instructors were educators of some form or another so I gave it a shot. The pre-work was pretty easy as I had just completed a pre-bootcamp course prior. Also, it gave me a chance to compare the teaching styles of the two different bootcamps. Actualize immediately stood out as the place I wanted to be. Although my cohort mates were from all walks of life and backgrounds, we seemed to mesh almost instantly like a family. It could have been the common desire of wanting to learn code, but whatever it was, it made life so much easier. My experience learning with another bootcamp also yielded high learning in a short amount of time, but the stress factor was through the roof. Knowing if I failed a few tests I'd be kicked out of the bootcamp is something I did not want looming over my head while trying to learn something completely new. 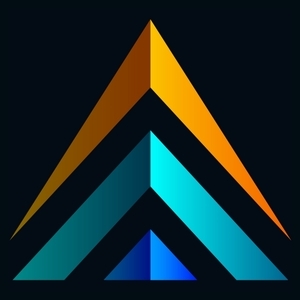 All in all, my experience with Actualize is one I will always remember and can look back on in a few years and say that's where I got my start at and that's the reason this great site I built exists today. I can't stress enough how much one-on-one access you have with your instructor and ta's. It is a bootcamp and things come at you hard and fast. You'll get some things, not get others, and that one-on-one time will be invaluable. This will be the basis from where you'll begin your journey to learn other languages and decide where to focus as you move forward. You'll get out as much as you put in, and you'll be amazed at what you can build. Start practicing your algorithms now..you'll thank me! Really amazing course that covers everything you'll need to know to form a foundation for software engineering. Almost all of the prework and the first half of the course is spent doing backend work, which I think is the best way to learn coding and train yourself how to solve problems like a programmer. The course covers multiple languages and frameworks, but it doesn't overload you by trying to have you learn too many at once. The instructor and the TAs are extremely knowledgeable as well as flexible with their time. Definitely recommend - it's worth the cost! My expectations were high and Actualize still managed to exceed them by a long shot. When I was originally doing research to find a bootcamp that met my needs, Actualize stood out compared to other cohorts such as Fullstack. The only thing that was kind of spooky to me was how unanimously positive almost all of the reviews for Actualize were. An average of 4.1 out of 5 almost always feels more genuine than a 5 out of 5. Actualize is a massive exception to that rule. I'm not sure what it's average rating is, but it must be close to a perfect 5/5. Until I went through this, I really didn't believe it could be THAT good. What can I say that hasn't been said in any of the previous reviews? I was part of the first full-time cohort (as opposed to the part-time night cohorts that were previously the only option) and as a result, got to pour my entire life into it. 5 weeks of remote prework followed by 12 weeks of intense, non-stop learning and application. I won't sugar coat it, it's hard as hell, if you don't cry at least once, you're either already way too advanced to be considering the program or you're not paying attention. In spite of how difficult it can be, there is so much support here from all the staff. There's a palpable sense of emotional intelligence that takes into consideration the stress one goes through when learning as much as you do in such a short amount of time while unemployed and living off of savings for 4 months. It's scary, but so incredibly gratifying by the time you make it through. Out of the 14 members of my cohort, every single one of us finished even when almost all of us, at one point or another, felt like quitting from the pressure. If there is another bootcamp out there that does what Actualize does, I've yet to hear about it. I hope my review helps to sway anyone on the fence or currently in the process of doing research towards a bootcamp experience. I just graduated from the first daytime cohort at Actualize and highly recommend it for anyone looking to make a career change. I had researched all of the coding bootamps located in Chicago and decided on Actualize after the positive reviews I read. The environment is welcoming and the instructors make coding fun. I had no previous coding experience and am amazed by how much we learned in 12 weeks. Five stars all the way -- this program is intense but worth every moment. Actualize supports and encourages each one of their students, regardless of experience level. This coding bootcamp gently nudges you to push yourself and surpasses all expecations of what you knew (or didn't know) about coding and the tech industry. Coming from a place of little knowledge about code, I dived head first into this program, unsure of what to expect. But after 12 intense and life changing weeks, I've learned more than what I could have taught myself, built webapps from scratch with other my other fellow developer classmates, and completed a capstone project on my own using the skills taught by Actualize. The course is intense, but can be done. You must be fully committed to the cause in order to make this work. The instructors were always available to answer your questions, not matter how many times you asked them, or if you repeatedly asked the same question. The job assitance that comes with the course is also great! Lisa Tucker does a phenomenal job of making time to see you and assist you. I did the fulltime cohort, so I can only speak on behald of that. I have no regrets, I am glad I did this. I did my rounds on the review sites, talked with admissions people from other fulllstack bootcamps, and networked with other bootcamp grads before deciding on Actualize. What drew me in was the flexibility of taking the class remotely in the evening hours (I have a day job), and getting a full stack education in only 16 weeks. How did they do this? Not by cutting corners, or by hiring unskilled instructors! It is in their teaching methodology and philosophy. What I learned was not just how to build a fullstack app/site. I did learn that, but what I also learned was far more valuable. I learned how to learn to code. Yes, the teach how to learn to code. That makes the skills you learn at Actualize applicable to any language and framework from HTML to JS, and SQL that you want or need to learn. Oh and the kicker...due to their efficient teaching methodology, they do this at half the price of other bootcamps. What an experience. I am a recent grad of Actualize and I have nothing but good words to say. I was apart of the online evening/weekend course with six other students. The level of support I received from the instructor, TA and classmates were unbelievable. Everyone wants to see you win and start a career as a web developer. My background is in social work and I never thought I could become a web developer. It takes a lot of patience and determination to finish this course, but if you're truely passionate about learning how to build web apps and challenging yourself, then I say go for it. I have no regrets whatsoever. About me: I have just finished my capstone project after attending Actualize for months. I am in the IT field already (sys admin, wifi design, network infranstrure) and took a couple of years of C++ in college a long long time ago. I hated code at the time because of the haphazard and antiquated learning patterns of my university (having to write C++ functions in pencil!). Before choosing a bootcamp, I interview many people in the field to get their experiences. Actualize came up repeatidly for both in-person and online. I attended Actualize online after work. Despite my hesitations about a online class I really felt supported and empored at Actualize. With a 11 hour work day (with commute) they were still able to keep me engaged and motivated with a perfectly balanced curriculum and amazing teachers/TA. I always felt like I had someone I can reach out to, and that my fellow peers were friends and part of a community. I will whole heartidly recommend again and again. I had been contemplating attending a bootcamp for a while but was hesitant to jump in and do it. Finally after about a year I decided to join one. I browsed over some reviews , and decided on actualize after generally positive reviews as well as being able to attend my full-time job while attending. Overall, I'm very pleased with my decision to join actualize. it's pretty fast paced and intensive but the curriculum is well-structured and the instructors are excellent. Got along very well with the other members of the cohort. Everyone was very motivated, and willing to work together and help eachother. which also added to the experience. overall I'm quite satisfied with what I have learned and glad to have this experience. The curriculum focuses heavily on Ruby/Rails and Vue.js, but I wish a little more time was spent exploring other languages and frameworks. As well, I was placed in a fairly undiverse cohort (although seeing other cohorts on campus, I know this is not the norm), which made it a little difficult to fit in as a queer person. With all of that being said, the curriculum and the instruction were incredibly well presented, and all of the instructors were incredibly knowledgeable and helpful. Definitely recommend this school! Actualize is perfect for those who want a carrer change or for those who want to obtain the skills to make an app. The first part of the experience requires diligence and perservance. You will only get what you put in. The other half is the interaction between your peers, the instructor, the TAs, and you. It will surprise you to see how close you get when going through the same struggles. At the end of the course you end up with a new family. Josh, Addie, Brittany, Natale, and Jen helped push me past my comfort zone when it came to my capstone project. They let you come up with the idea and then give you advice on how to improve it. You then realize that you now have a new mindset on what makes an app. You feel their passion in web development and for your success which made my whole experience enjoyable. 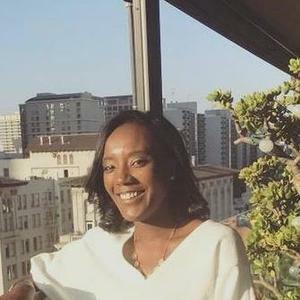 After getting my degree in marketing and spending the first five years in sales roles that never felt fulfilling, I needed to make a change in my career to something that would give me more flexibility, better upward mobility, and overall happiness. I had completed a few Codecademy courses in the past, but needed something that would supply me with a bit more structure. So after seeing Actualize's great reviews, especially for their in-class Chicago campus, I applied and was accepted to the July 2018 cohort. Over the next few months, I learned more than I ever could have possibly imagined. The course is fast-paced and challenging, but once things start to stick, by the end you have a strong foundation and jumping off point for your future career in development. I met some amazing classmates during my time here, and my lead instructor Josh and all the TA's were fantastic, patient, knowledgeable and overall great people. I couldn't recommend Actualize more to anyone who is curious about programming but doesn't know where to start their career. It doesn't get much better than this. I took the 13 weeknight course and it was intense. It is a coding Bootcamp and it is intended to teach you full-stack within 13 weeks. It is a short-term commitment but it will take all your free time. It's all about the instructors! I considered attending a bootcamp for for 2-3 years before finally making the decision to go through with it. I can honestly and personally say that it was the best thing I've ever done for myself. After researching and reading through other reviews online for other bootcamps, I chose Actualize due to the small independent feel when compared to other bootcamps, the apprenticeship/job hacking program after classes end, but most importantly the teaching experience/acuity of the instructors, especially Peter Jang. He's absolutely the best teacher I've ever had in all my years of structured education. He's extremely intelligent, insightful, experienced, and funny. It's obvious he loves coding and teaching others. Without a doubt, the material is difficult but their approach does not cultivate a high stress environment. This is especially true if you find yourself to enjoy web development; to which you should put in the extra time and work if you enjoy it. To anyone out there who may be researching coding bootcamps, you will not go wrong with Actualize. I can't speak for other bootcamps but I'm happy to have attended Actualize. I now feel confident in my ability to take the next step towards a career in tech. Thank you to everyone at Actualize who helped me. I will miss attending classes. I choose Actualize because it offered me the opportunity to learn to code while keeping my full time job. Also loved the fact that the instructors where actually people with teaching experience not just coding. Huge plus! My experience was amazing. I knew nothing going in and learned so much by the end. Never felt like I couldn't ask a question no matter how basic it was. Definitely recommend to anyone that wants to learn to code regardless of how little knowledge they have going in. Before I joined Actualize I probably read every single review written about them. This review might seem similar becuase Actualize is truly amazing and joining was the best decision I made! I would do it all over again. I chose this bootcamp in particular because the instuctors have software engineering experience and teaching experience and I can honestly tell you that they set you up for success. My Instuctor was Peter Jang and I cannot say enough good things about him. I really feel that I could not have asked for better elsewhere. Their teaching philosophy and approach to programming is very effective. After completing the program I feel very confindent that I have the both the technical skills and the job hunting skills to land a software developer position. Like most people reading this, I had no programming experience prior to attending Actualize. While working through Codecademy exercises, I began researching bootcamps and was nervous to take the plunge. Without question, Actualize is an incredible educational experience suitable for all backgrounds. Cohorts are small, allowing for more instructor attention. The instructors (who are FANTASTIC!!) have backgrounds in both software development and education. They really take the time to make sure you understand the material. You can ask for help and actually get an answer that makes sense. Most bootcamps are not like this. In addition to modern web development tools, Actualize shows you how to not only build full-stack web applications (Ruby, Rails, VueJS), but feel comfortable reading documentation, learn new technologies, and take on your first developer job. Attending Actualize is without question one of the best decisions I have ever made and my only regret is not signing up earlier. If you're someone looking to learn to code and pursue a software developer career, Actualize will get you there. Go get it! I chose actualize because their emphasis on teaching. There are many bootcamps available who do not stress this enough. I would recommend Actualize to anyone who is willing to put forth the effort to learn how to code. While they do teach you, you must put in the work if you want to succeed. I would also recommend exhausting free online exercises before enrolling in the class because it does move quickly, and having a base to build off is something to help cement your understanding. And just as a side note, Peter led my cohort, and I would gladly recommend his teaching style and general demeanor regarding learning to program to anyone who is considering the course. **Job assistance rating is left as NA as I am a recent graduate at the time of this review, and have not attended any job assistance meetings at this time. Negative Zero Experience to Expert! Truly the best learning experience iin my life.The instructors are extremely knowledgable and helpful throughout the process! Coming from a background in sales and not having any programming experience was super intimidating and although it is a fast-paced course covering a lot of material there was a positive and community vibe ambience that kept me motivated and excited to attend each and every class! Supportive, comprehensive and most helpful coding bootcamp out there! Cannot begin to describe how worthwhile this whole process has been. Having just completed the curriculum I feel very confident about jumping into the industry of web development and landing my first job in a field I thought previously I had no shot at. The curriculum is definitley no walk in the park but it was very fun to overcome the challenges and obstacles that you face when you jump headfirst into learning something as complicated as web development. Although you're technically in a class, it doesn't really ever feel like a school and the small size of the cohorts allows you to have a lot of one on one interaction with the instructors and TA's which is very beneficial when you run into small problems, and is one of the reasons I chose Actualize over a bigger bootcamp. Since Josh, the lead instructor, also attended a bootcamp he knew exactly the types of problems and pitfalls students like us with no CS degree would face, and helped us circumnavigate those as much as possible while still allowing us to fail lightly in order to really learn (which I believe is very neccesary). And despite being relativley self-taught himself he was insanely knowedgeable on the topics and technologies and did an excellent job explaining complex things in the simplest way possible. If I could do it all over again the only thing I would change is to do it sooner. I came in knowing minamal HTML, and CSS, but came out learning so much. I had a great time, all the teachers and students were great. I honestly didn't expect to learn so much in such a short period of time. Really exceeded my expectations and I'm glad I came here. Another plus was that they help after the main course, they don't just throw you out and say good luck finding a job. We have a job counselor to help us prepare our resumes, go in prepared to our interviews etc. If you're on the line of coming here don't be you'll learn a lot and be able to move forward in your coding journey. This was an intense curriculum that is designed to prepare you into the real world of coding. It was an intense challenging and sometimes brutal experience, but you will learn how to operate as a coder. It does become a skill, just like any other one, but much more precious. After graduating there was a great apprenticeship where the Jay (CEO) is a fundamental part of, helps you prepare for job hacking / interviews that proved extremely valuable to get me the job in the field I wanted. I have friends who have C.S. degrees, who where shocked as to the level of knowledge I was able to acquire in a short period. Jay Wengrow founded part-time web development bootcamp and apprenticeship program Actualize in Chicago in 2014 to make learning to code efficient and accessible. Now the coding bootcamp has campuses in New York and San Francisco, and in June 2017 they are launching their new online part-time program to further reduce barriers to entry into tech. We asked Jay about the format of the new online course (+ photos) compared with the in-person course, why no programming experience is required, and how Actualize prepares students to land new careers in tech. What is your education and career background? What inspired you to start Actualize? I’ve always known that I wanted to be a teacher – even since I was in high school. I pursued my Master’s in Education and taught at various venues, but I needed a higher salary to support my family. I was fortunate that I did some basic computer programming as a kid, so I decided to go back to school and get my Master’s in Software Engineering. After working as a software developer for a number of years, I found that my favorite aspect of my job was teaching and mentoring junior developers. I decided to meld my skills in both education and computer science to develop a program that would teach people to code in the most efficient way possible according to educational best practices. What were some of the educational problems you were trying to solve? Having received a traditional Master’s in Software Engineering, I knew that while CS professors might be subject matter experts, they had little idea on how to actually teach. I watched many of my classmates drop out of CS altogether because they assumed they weren’t smart enough to understand, while the truth was they simply weren’t being taught well. I was also aware of the coding bootcamp phenomena that began burgeoning in 2012, but found that many of these programs were not run by people with an educational background, and were structured so that the students would essentially have to teach themselves. While this latter approach can work for some students, it requires at least a full-time schedule and is long and arduous. I knew that I could create a school that could teach everything in a fraction of the time – by having an expert educator teach every concept, clearly, and in the right order. You’ve been teaching for a few years now – what’s been the biggest change at Actualize since starting the first campus in Chicago? Has the curriculum changed to adapt to new technologies? I don’t get the chance to teach or code much anymore, but I only hire Lead Instructors who have a similar background to myself. They must have professional experience in both education and software engineering. I still try to find the opportunity to teach code in other ways – I host a weekly meetup teaching introductory coding concepts, and I recently published a book on computer science that explains data structures and algorithms in a simple, easy-to-understand way, without any math. 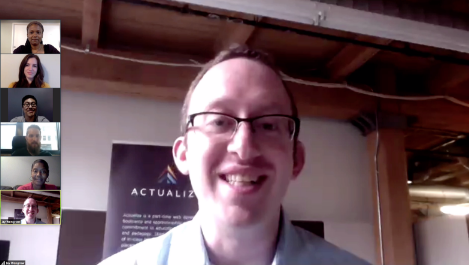 Actualize has been teaching in-person, part-time bootcamps in Chicago, New York, and San Francisco for a while now – what was the motivation to create the online bootcamp? We felt that an online program was the best way to reach the audience of potential developers who don’t live in a big city. Educational accessibility is very important to us, which is why we offer a part-time program. This helps us reach people who can’t afford to quit their full-time job to enroll in a coding bootcamp. An online program provides even greater reach, as there are a tremendous amount of people who don’t live in a major city and will never have access to any coding bootcamp education. What was the curriculum development process for the online course? Did you start from scratch or will online students experience the same curriculum as in-person students? Our approach is to use the exact same curriculum as our in-person course. We don’t want the online program to compromise in quality in any way – our goal is for it to be as close to an in-person experience as possible. That means students in our online program will learn from the exact same curriculum, lead instructors, and format as our in-person bootcamp. The online course is completely different than other online offerings – this isn’t a set of exercises that students log into and complete on their own time. Our program is an “in-person online” experience and there are set class times identical to our 12-week in-person program (Monday through Thursday evenings and all day Sunday) where a lead instructor is teaching and providing exercises throughout. Nothing is pre-recorded – students are able to communicate with other students and ask questions during each live class session. Everyone can see the lead instructor and all their classmates at all times even during the exercises. Describe the new Actualize online learning portal and online student experience. Like our in-person format, we constantly flip back and forth between instruction and exercises. During both instruction and exercises, the lead instructor can see each student, and all students can see each other. The lead instructor and all the students remain in the virtual classroom as they tackle the exercises, just like an in-person class. When students need help, they can send a chat message to the Lead Instructor and the Lead Instructor jumps into a one-on-one video conference to privately answer student questions. At this time, the students can share their screen with the lead instructor, and can even grant access to the lead instructor to remotely type into the student’s computer. This means students can ask instructors or each other for help and get the immediate feedback that is critical to learning. By designing our program as an in-person-style online experience, we eliminate the need for specialized learning management systems, which can be a barrier to optimal learning. Having classes nearly every day with a high-quality instructor is what helps students stay organized and be held accountable, and provides the formative assessment opportunities that get lost in typical asynchronous online experiences. In this way, our online offering maintains the high level of educational quality that embodies Actualize. What type of student is an ideal student for the online course? Are you looking for someone with experience, a certain background, a certain culture fit? The ideal student for the online course is the same for the in-person course – we don’t require any specific programming related experience, but we do look for people who have the right mindset. An ideal student is someone who is excited to change careers to become a web developer and is determined to put in the work. Like all coding bootcamps, Actualize is not easy – so we specifically look for students who will give it their all. Has the admissions process for the online course changed? What can applicants expect? Our admissions process for the online course is identical, except that you meet with our Admissions Advisor over video conferencing instead of in a physical location. The process is to apply on our website, then an Admissions Advisor will reach out to schedule a series of two interviews to make sure that we’re the right fit for the student, and that the student is the right fit for us. We do not conduct any coding challenges during the interview – after all – that’s precisely what the student is coming to us to learn! Instead, we look for people who are ambitious and committed. How do you attract a diverse applicant pool? Do you have diverse cohorts? Is that important to you? Diversity is important to us, and in addition to diversity scholarships, we always try to have a diverse set of lead instructors and teaching assistants so that all students can feel like they fit right in. We also hope that we can increase the diversity by offering our course to people outside of our original three metro areas. Let’s talk about getting students placed in jobs. What will Actualize’s job prep curriculum look like for online students? Our job prep curriculum for the online program is the same for the in-person program. It is integrated into the 12-week program, where we teach students both soft and technical skills necessary to get a job. We feel that the soft skills, which consist of networking and personal branding, are just as critical and teachable as the technical skills. Students leave the 12-week program with a complete understanding of how to land a job and be successful in an interview, and they will have begun the networking process before they graduate. Online students are also able to take part in the apprenticeship at The Difference Engine once they complete the 12-week program. They will join remotely and meet with their teams twice a week. In this way, the online students get the same advantages as our in-person students, where they build their development skills and ability to work in a team on real-world projects for nonprofits. What is your advice for students embarking on an online bootcamp course? Any tips for getting the most out of a course, especially if they are trying to change their careers? The best advice I can offer is – don’t doubt yourself. We truly believe that anyone can learn to code, and we have worked with many students with all different types of backgrounds to help them successfully transition to a career in web development. We hope that our online program opens doors for people who would never have had access to a high-quality coding bootcamp experience. For some people, the final barrier is self-doubt – they believe that they aren’t capable of learning web development and changing careers. We have a track record that proves otherwise, and we are truly looking forward to helping a whole new audience on their journey to a new and exciting career! Read more Actualize student reviews on Course Report. Check out the Actualize website! Luke was ready to make the transition from chemical engineer to software engineer, but wasn’t ready to quit his full-time job. He found part-time coding bootcamp Anyone Can Learn to Code in San Francisco, learned to code while working full-time, then got real-world experience in his apprenticeship with The Difference Engine- an opportunity that ACLTC guarantees all its grads. Luke tells us the secrets to managing his time, the immense benefits of doing an apprenticeship, and his new job as a junior software engineer! I have a degree in biology and chemistry from California State University Long Beach. My first job was doing wet titrations in a chemical analysis lab, then I got a job as a chemical engineer with OM Group in San Francisco. I work with customers to provide support to internal engineers who are using the chemistry that our company provides. I actually really like my job, but the manufacturing industry is tapering off in the U.S. because of increasing building and labor costs, and stricter environmental regulations. If I wanted to continue in this career, I would have to spend a lot of time in China where it’s cheaper to build the same products. So that’s what prompted me to learn to code, and living in a tech city like San Francisco I already have a lot of friends in the industry. So you’ve been able to continue working full time while studying at Anyone Can Learn to Code? My boss is awesome and really accommodating, so I was able to keep my job. He let me leave by 4pm so I could get to Anyone Can Learn to Code’s 6:30pm start time. I also work in a remote position, so I already have a lot of freedom in my job. They don’t micro-manage me as long as I get the job done. What hours did you commit to studying at ACLTC? The mandatory hours at Anyone Can Learn to Code were 6 pm to 9:30 pm Monday through Thursday, then 9 am to 5 pm on Sundays. I usually spent additional two hours a day studying, and on Fridays and Saturdays I worked on my capstone project. There is so much to learn, so you get out of the bootcamp what you put in. Some people get the impression that you just pay X amount of money for a coding bootcamp and get a job. But that’s not the case – this industry is highly competitive, so you have to put in the time if you want to get a job after a coding bootcamp. 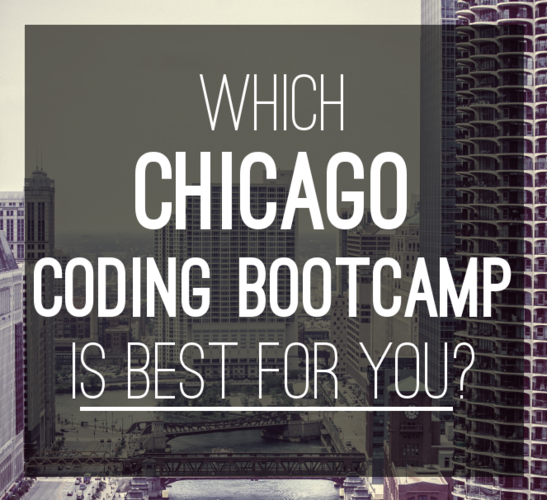 Did you try to learn to code on your own before you thought about a coding bootcamp? What types of resources did you use? I did some tutorials online that were super basic, then I realized it was something I was really interested in. I took one semester of courses through the City College of San Francisco. I did courses in PHP, HTML, CSS, MySQL, internet theory, and UNIX. It was a full-time course and I really liked it. 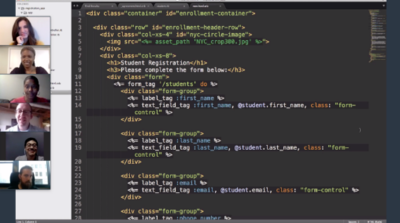 I had to decide whether to continue studying at community college, or do a coding bootcamp. The bootcamp was more expensive than City College, and at City College you could get a certificate in web development. But after considering how long it would take to complete the college curriculum, I decided on a bootcamp because it was accelerated and the investment would pay off in the long run by saving so much time. Did you research other coding bootcamps or just Anyone Can Learn to Code? I looked at Hack Reactor and App Academy first. Then I found Anyone Can Learn to Code, which was appealing because it was part time, so I could keep my current job. It was a way to minimize the risk because even if I took the bootcamp and for some reason it didn’t work out, I’d still have a job in an established career. I also liked that ACLTC was offering the apprenticeship where you get real-world experience. 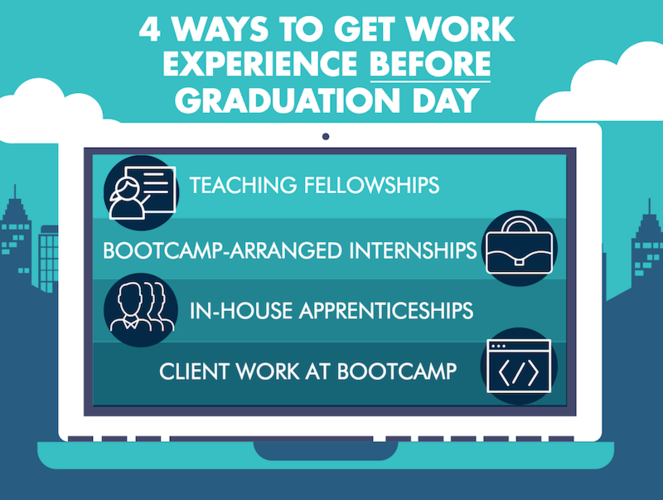 When I speak to other bootcampers at meetups and hiring events, some are finding it difficult to get real experience, so doing an apprenticeship is really helpful and appealing to employers. There were 14 people total, plus the instructor Mark, two full-time TAs, and one part time TA. It was pretty diverse as far as race. I believe there were three women. People had a variety of different backgrounds; some from finance with MBAs, others worked more in the social aspect of the community. There was a mechanical engineer, people working in retail, and other people were medical assistants so it was very diverse. And most of them were working full time like me. There were a few just working part time, and one or two who had quit their jobs. How did you pay for it? Did you use a financing partner? Did you get a scholarship? I paid for it out of savings, I had the available capital. They split it into three portions – $1000 to hold my spot, then half of the remainder at the start and the other half in the middle. And I believe there was a financing partner I could have used. This one is a lot less expensive than some of the other ones. Some others run about $16,000, or take 18% of your first job salary like App Academy. What was the learning experience like at Anyone Can Learn to Code? What’s a typical day and teaching style? We had a calendar outlining what we were going to be doing throughout the semester on different days, but it shifted if we were ahead or behind schedule. Mostly we were ahead of schedule so we were learning topics faster than expected. In each session the teacher introduced the topic for the day, showed us a working example we could watch or follow along with, then we’d do an exercise where we implemented what we just learned. If you completed those early there were harder bonus challenges you could do where you’d have to Google search how to complete it. The favorite project I did was my capstone project, Ride4less.us. It compares the cost of Uber vs buses and BART in the Bay Area. But it can work anywhere because it uses Google Maps API and the Uber API, so anywhere those services are available it would work. How did you transition from being in class to being in Anyone Can Learn to Code’s apprenticeship, The Difference Engine? It was easy because you go from 25 or more hours including class time and outside study, to 20 hours a week. Now you’re working on a live project and you’re already pretty familiar with writing code every day. The hard part for some people is that the apprenticeship is all remote; we weren’t going to class so we had to manage our own time. I know that could be a challenge for some people, but ACLTC is changing the apprenticeship format soon to include some face time each week. Tell us about the apprenticeship. How long was it? We started Anyone Can Learn to Code on site on November 1, 2015; finished on Thursday January 16, 2016, then started the apprenticeship the following Monday. We had our first group meeting, set up our first two-week sprint, then started working immediately. Ours was six weeks, but they’ve changed it now so it’s 17 weeks with the flexibility to commit to six-, four-, or three-week segments. How did the projects work in the apprenticeship? How were you assigned work? We were placed in groups of two or three and each had a project. We used Trello and Slack to communicate and assign tasks. Instead of stand-ups in the morning we did Slack ups. My group usually met up in person on weekends or once a week for five or six hours to work together, then if anybody was stuck somewhere we could help find a solution. How did you interact with staff from Anyone Can Learn to Code throughout the apprenticeship? We had a project manager from ACLTC Chicago who was doing client communication. We would have a meeting every couple of weeks and demo the project with our project manager and client, to hear feedback and give our input. We also had a senior developer, Mark our teacher, and if we were stuck we could reach out for help. But we didn’t really need that much because at that point we knew how to solve problems on our own with the help of Google. What sort of projects have you worked on in your apprenticeship - can you give us an example? We were working for the nonprofit Women Who Code to add some features to their website and build out an API for them. My team was on the web client, and the other team was working on the API. We worked very closely together because the web client needed to communicate with the API. We were working on building the section for people creating new accounts. When people logged in it would send the info to the API, save it, then you would be logged in. It was pretty challenging and had some real world applications, so it was really cool to work on a live project like that. Were you using the languages and technologies you learned at Anyone Can Learn to Code or have you had to learn new material? Why did you decide to do the apprenticeship rather than immediately start applying for jobs? One of the main reasons I chose this bootcamp was to get real world experience, because you may have worked on a personal project, but now you’ve experienced working in Agile environment, working with a real client, and meeting deadlines. Employers like to see that. To me it’s a no-brainer to do the apprenticeship. What are you doing now? Have you started looking for a job? I am still working directly with Women Who Code as a volunteer because after the apprenticeship finished, in between getting a job as a full-time software engineer, I needed something to work on. So I reached out to the CEO, and she told anyone who was working on the project were most welcome to continue. I was looking for jobs during the apprenticeship and I had one technical interview for a more senior position, which I struggled with. I realized I needed to spend more time learning about the type of things asked in technical interviews. So I studied the book “Cracking the Coding Interview”. After hearing of students struggling with technical interviews, ACLTC founder Jay Wengrow also wrote a book that looks at technical questions and computer science theory, and is now going to be part of the curriculum. So I was spending time doing that, and yesterday I verbally accepted a position as a full-stack web developer starting mid-April. Congratulations on your new job! Can you tell me about the company you’ll be working at? The company is an engineering firm that does engineering consulting, building out platforms for companies who need engineering support. I’m going to be starting with them in a three-month apprenticeship as a junior engineer, then transition into a full-time software engineer role. So I’ll have three months of training and mentorship, focusing on learning and levelling up my skills. Do you think the fact you did the ACLTC apprenticeship made it easier to find a job? Yes. It shows you've worked on a live project, and also sets you apart from other people who have graduated from a coding bootcamp, who don’t have the opportunity to do real-world work. Anything that can set you apart helps. As anyone will tell you, getting your first job or your foot in the door is very difficult. What job and career advice did you get from ACLTC? All the staff are really supportive and they want you to succeed, so it’s not like you pay the money, go through the course and once you’re done they kick you out. They are very much still in touch and willing to help in any way they can. Before one of my interviews I spoke to a TA who did technical interview prep with me just one on one. It was completely outside of the bootcamp. What advice do you have for people making a career change after a coding bootcamp, who are maybe considering a post-bootcamp apprenticeship or internship? I would say make sure it’s something you’re passionate about, because it takes a lot of time, and it’s not an easy transition. I know software engineers make good money, but if that’s your only reason for becoming a software engineer, that is probably not the right reason. There is going to be a lot of work and you need to have the passion and drive to get through it. I was highly skeptical of the whole situation before taking it and thought about it for a couple of months before making the decision to do it. I thought, can this be true that you can do a 15-week course and apprenticeship and then get a job in the industry? It goes against your usual idea of education – having to go through four years of college to get to an opportunity like this. Find out more and read Anyone Can Learn to Code reviews on Course Report. Or check out the Anyone Can Learn to Code website. Thinking about applying to Anyone Can Learn to Code? The part-time Chicago programming bootcamp just opened a new campus in San Francisco and is a great option for career-oriented bootcampers who can't quit their day jobs quite yet. 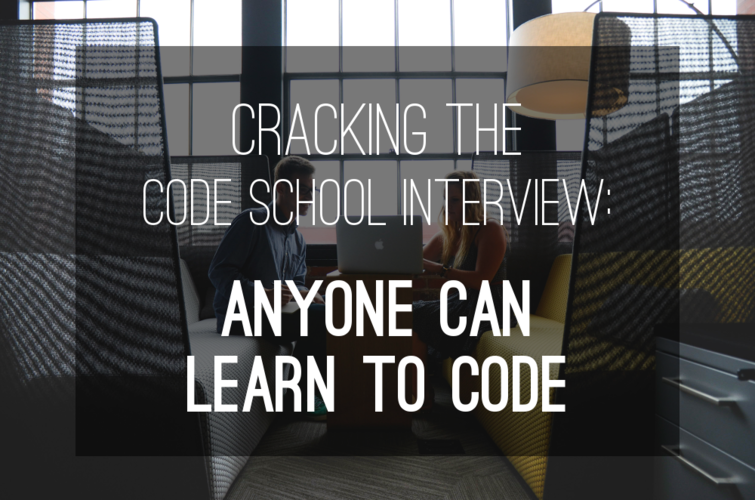 But not everyone is accepted into Anyone Can Learn to Code, so what can you do to ace the interview? We're covering the Anyone Can Learn to Code interview and application process with input from their admissions team and past students! How long does the initial Anyone Can Learn to Code application typically take? What goes into the written application? Does Anyone Can Learn to Code require a video submission? The written application is a series of questions to determine whether or not the program is a good fit. We don’t require a video submission. What types of backgrounds have successful Anyone Can Learn to Code students had? Does everyone come from a technical background? Our students have extremely varied backgrounds; teaching, construction, consulting, engineering, and many others. You don’t need a tech background to join ACLTC, but all our students have done hours of online tutorials, reading, and exercises to ensure they enjoy the process of programming. A basic understanding of computers helps, too. Applicants should have updated resumes and a clear idea of their goals for the bootcamp as well as why they would be successful in a web-development careers. We also suggest applicants check out free tutorials on sites like Udemy, Codecademy, Khan Academy, or Lynda, and talk to software developers they know to get a better understanding of what the job entails. In addition to ensuring that potential students have gone out of their way to do enough coding/programming exercises and/or job-shadowing for programming; there are also a lot of soft skills like: perseverance, teamwork, analytical skills, problem-solving, ability to deal with tedious tasks, ability to help other students, creativity, and aspects of their characters/personalities to make sure they would fit in well with the rest of the classroom. Can a student apply more than once? Is there a technical coding challenge in the Anyone Can Learn to Code Application? How long should it take? Is there a time limit? Can an applicant complete the coding challenge in any programming language? Yes, there is a coding challenge, to be submitted with a screencast. The challenge is in Ruby and typically takes several hours to complete (applicants have a week in which to complete and turn in the challenge). What is the current acceptance rate at Anyone Can Learn to Code? We’re always interviewing and accepting students, but they are usually accepted for a specific cohort that works for their timeline/schedule. Does Anyone Can Learn to Code accept international students? Do international students get student visas/tourist visas to do the program? We do accept international students, but we do not assist with visas. What other questions do YOU have about the application process? Let us know in the comments or visit the Anyone Can Learn to Code website and start your application today! Oscar Cisneros was at a job with little opportunity for growth when he was encouraged to learn programming by a tech recruiter. After reading about Anyone Can Learn to Code in Chicago, Oscar decided to take the plunge. He's now working as a developer at startup CancerIQ and says "things couldn’t have worked out any better." We talk to Oscar about his experience and career change! What were you doing before you started at Anyone Can Learn To Code? I was working for a travel company, managing flights. It was a really demanding job with no growth opportunities and it was in Chicago so the traffic was horrendous. Did you have a technical background? I did a bit of IT for neighbors and friends- one of my neighbors owns a swimming pool maintenance company, and he hired me to be his computer guy; other than that, nothing major. I dropped out of college because I couldn’t figure out what to do. I had messed around with programming a bit but never really got into it - I thought it was something that only really smart people could do. I wish I would have started a long time ago; I’ve found something I love. Did you quit your job or continue to work during Anyone Can Learn to Code? For the first two weeks, I worked and did the course. After that it became incredibly difficult between work, traffic, and class. How did you find the bootcamp? What pushed you to make that switch? Last year, around this time, I was really starting to hate my job. I was trying to figure out the next step: going back to school and finishing my undergrad, finding a new job. I took a small, part-time job with a startup called Sidecar. I ended up driving a tech recruiter and we were talking about work and he filled me in. He told me to check out Codecademy and if I liked it, to apply to a bootcamp. I signed up for Codecademy the next day and started reading books and playing around- it was freakin’ awesome. Bootcamps I looked at were crazy expensive and require you to quit your job. Then I found Jay in an article on Built in Chicago and contacted him. 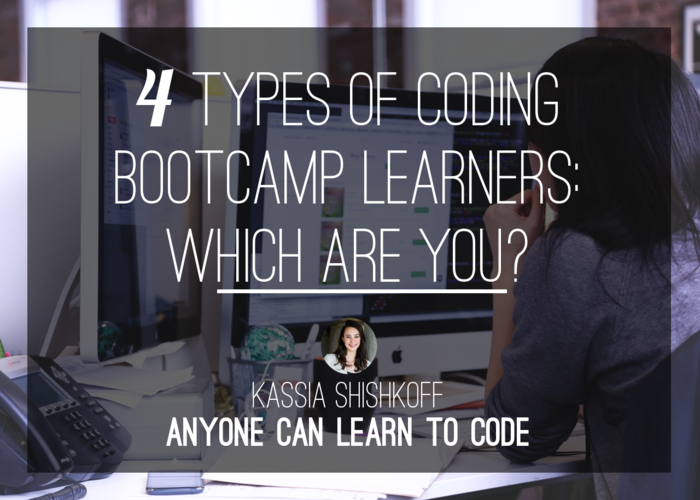 Did you look at any bootcamps other than Anyone Can Learn to Code? Not seriously. I looked at a few websites but the prices were out of reach. During the couple of weeks that you were working and doing the program, what kind of time were you putting into each? It was a full 8-hour day at my regular job. I was putting in about 3 hours’ worth of driving and then the full class from 6 to 9:30; it was really rough. There was an online application and then Jay got in contact with me and we talked in person. He told me about his teaching style and asked me about my learning style then he gave me some pre-work to do to see if I could handle it. I think about a week. I’d contacted Jay when it was really close to when the class was starting so it was really quick. What is Jay’s teaching style like? What did the class look like on a day to day? He was great. He doesn’t leave anybody behind. If you’ve got a problem he’s going to help you figure it out but at the same time, he has this trust in people that he knows can handle it so there’s a really good trade-off. I picked things up really quickly and he would let me play around and get myself stuck and after a while, he’d check in on me and see if I was alright. He was really good about making sure everybody was picking up the material. When did you go to class in-person? The class went from Monday to Thursday from 6 to 9:30pm. And then Sunday all day from 9 to 5. It went for 12 weeks. Most days we had projects we were working on during the class and since the class was only 3 hours we may not finish, so you’d work on them overnight if you could. What was your cohort like? Did you interact with them a lot or were you working on your own? We were actually pretty close because we worked together every day; everybody helped each other out. Towards the end of the class, we had our own projects to build and there were those who were good at certain things. For example, there was a guy who was good at front-end stuff, there was a guy who was good with APIs so we all helped each other out. It was pretty cool. We graduated with 7 students. There were a few women, quite a few men. The class was really diverse so that made it really cool. As far as the curriculum goes, what technologies were you learning and were you happy with the materials? We started off with Ruby on Rails, did some CSS front-end work using the Bootstrap library. Jay did give us the option of learning Bootstrap or Foundation. Most of the class did Bootstrap. It was really heavy on Rails, and then we ended up learning Angular towards the end of the class; that was my favorite part. Those were the main technologies that we worked with. At the company I’m working for now, it’s really heavy back-end work but people get excited for the front end stuff. So if you know how to do really cool stuff with the least amount of effort, that’s gold. Did you work on projects throughout the course? Were those individual projects or team projects? We had our own individual project. From the beginning of the class, we started to think about what our project would be and to flesh it out. Then during the course of the class we had a few group projects; we built a puzzle app where we collaborated with the rest of the group. Then we worked with APIs where we built a web client to interact with each other. For my personal project, I built a business management program for small companies. Can you tell us about that project? Is it live? It is live but nobody uses it yet. I originally came up with the idea when I was working at this pool company. The owner had a program that was built for him and the developer disappeared so he couldn’t change anything. When he hired me, I had to hack into it and make changes. My whole idea was born off of that; taking the program and putting it into the 21st century and on the web. It tracks customer services and then their service breakdown. How much emphasis was there on job placement during Anyone Can Learn to Code? They brought in some people to talk to us, give a little introduction to the agile training process, work environment and the culture at different companies. And for our final presentation, Jay brought a ton of recruiters and employers. Anyone Can Learn To Code was really good at connecting students with employers. They actually ended up recommending me in the position I’m in now. Did everyone in your cohort get a job? It was 50-50. There were some people that didn’t start looking heavily, some people that were still trying to figure out what they were doing. Tell us what you’re up to today. Where are you working and what’s your job? I’m working for a startup called Cancer IQ to build a web tool for doctors to treat and recommend treatments for cancer patients. When I got hired, I was the only developer on the team besides the CTO, which was a little bit intimidating. I was hired as an intern, and did a lot of front-end work that I wasn’t really comfortable doing at the time because I really was a back end guy. I ended up learning the front-end skills which is awesome and things just started cranking out after that. I just got hired full-time two weeks ago. I think I was fortunate that I was able to pick things up as quickly as I did. Where is Cancer IQ based? CancerIQ is in 1871, which is where Anyone Can Learn to Code is as well. I’ve been able to hang out here for a while longer which has been awesome because I love this place. The CTO heard about me from Jay, and asked me for an interview and asked me to do a test project. I did pretty well on it and ended up getting hired before the class even finished. Last year at this time I was miserable because I hated my job so much; and now things couldn’t be better. I love my job. Do you think that you could have gotten to this point where you are without a bootcamp? No, no. I like to learn and figure things out myself but there are times when I get stuck. There was no way I could get stuck without having somebody there to help. I would make silly, dumb mistakes that I would spend hours on. So somebody that knows the way that you’re thinking can tell you why this is not working or this is why you can’t figure it out. Yeah, I learn a ton on the job but I still try to make time. I’ve been going to a Ruby meet-up ever since I got out of class. I did a hackathon a couple of months ago. I’m always trying to learn more. If you like programming, you want to know what the coolest new technology is and play with it. It sounds like you were destined to be a programmer. Definitely. This is exactly where I needed to be and things couldn’t have worked out any better. Even if you’d planned it, they couldn’t have worked out any better. I quit my job, did the class, landed a job, love the job, continued learning… it’s awesome. Is there anything you want to add about ACLTC? I always tell people if you don’t know what to do and are looking for something, think of programming, even at the basic level. It’s really cool stuff. There are so many things that haven’t been done and you could really change the way that people interact. That’s one of the things that really attracted me to programming in the first place. Once you have those skills to give somebody a tool that changes their lives, that’s really gratifying. There‘s nothing like seeing somebody use a tool that you built. It’s incredible. Want to learn more about Anyone Can Learn to Code? Check out their School Page on Course Report or their website here! Chelsea Dommert moved to Chicago specifically to attend Anyone Can Learn to Code, a part-time, intensive web development bootcamp. The risk paid off- with her new skills, she is starting as a web developer at Pivotal Labs today! We talk to Chelsea about the teaching style at Anyone Can Learn to Code, how her past experience helped inspire her final project, and the importance of attending conferences and staying in touch with the dev community. What you were doing before you started Anyone Can Learn to Code? I was a copywriter and an editor. I got accepted into Anyone Can Learn to Code while I was doing an internship in Washington, D.C. and did the program in the summer after that internship ended. I moved to Chicago specifically for the boot camp. Did you look at other bootcamps or just ACLTC? No, I only looked at ACLTC. I took programming courses in college and I found it very difficult to find instructors who were both competent programmers and good teachers as well. Often in the programming community, we have a tendency to guilt people for not being able to figure things out themselves rather than offering them any guidance. I had worked with Jay previously- he was my programming tutor for several months before the boot camp- and found that his method is very different from that. I majored in international relations- I actually quit basic computer classes when the intermediate level computer programming professor informed me that I was not intelligent enough to be a computer programmer. So you were writing after college- what got you interested again in programming? After college I moved to Miami and my day job was as a blogger at a tech company in the finance space. I wasn’t a programmer, but the technology was really interesting and I knew that I liked programming. I asked the CTO if he knew anybody who good at programming and at teaching. He introduced me to Jay. There were three reasons. The first factor was knowing Jay’s teaching style and knowing that he was going to actually teach. The second factor was that it was a nights/weekend course so I would be able to keep a full-time job and continue to earn an income while I was taking the course. I didn’t have the luxury of living in Chicago without a job for several months, which is what most bootcamps require of you. The third reason was that Jay explicitly covers both the consumption and the creation of APIs in this course, which is the direction I personally think development is headed. And it doesn’t get covered in nearly as much detail in many other bootcamps. What were your intentions doing ACLTC? Did you expect to get a new job afterwards? Yes, that was my intention. The company I worked for at the time was aware that I was going through a programming boot camp. I can’t speak for the decision that they made to hire me anyway. I was not hiding anything from them. You mentioned being impressed with Jay’s teaching style. What is his teaching style? What about it is effective? Mainly, he’s willing to break problems down and explain them and still give a bit of guidance to significantly reduce the amount of time it takes you to get the basics. I find that it’s very easy to get frustrated in the beginning because you know absolutely nothing, and once you have some initial direction and foundation, you can then use your autodidactic skills to become more advanced. But when you’re going from zero to beginner, it’s very helpful to have a teacher. Many teachers I had in the past expected a person to be able to get from zero to beginner largely on their own and when it was difficult for that person, blamed it on the student rather than acknowledging that they just needed help. Since this was a part-time program, did you feel like you were interacting with your cohort a lot? We did do group projects. We made an API and then we made an app that consumed an API as a class, then we also did a lot of projects in pairs and groups. I did interact with my cohort a lot. Did you feel like everyone was on a similar level and people worked together effectively? I wouldn’t say everyone was on the same level. In general, we were able to assign the various projects in a way that helped everyone develop. For example, I, having done some programming in my leisure time, had the most experience going in. Clearly, I would be at a different level than somebody who had never written a semicolon in their lives. Given that, we were able to find ways for everyone to contribute to each project. How many hours each week were you putting into the course? The actual time you spent inside the school was from 6-9:30 p.m. on Monday, Tuesday, Wednesday and Thursday, and from 9 a.m. to 5 p.m. on Sunday. That said, it very quickly became apparent who was putting in time outside of course hours and who wasn’t. Unsurprisingly to everyone, if you put in more work, you become better at a quicker rate. So I would definitely say outside work is required to become a good developer. How did you commit to doing work outside of those hours with a fulltime job? I would study from when I got off work until the program started, which was maybe an hour. Then I would work on Fridays and Saturdays, and that was an extra 12 hours a week. You had mentioned doing projects as a group and individually. Were those projects that were assigned or did you have a chance to work on your own project? Those projects were assigned. We also had a capstone project that was our own idea, and everyone in my cohort chose to do theirs individually. We would help each other but we didn’t work in groups. What was the project that you did? Sure. I made an API for a data set selected by the Armed Conflict Location Event Data Project, which is a project based out of an academic institute in Texas to collect information about conflict events in Africa and then published in spreadsheets. I made an API that would consume all of those spreadsheets and then I made an app that would take the data from that API and turn it into maps and other visualizations about who committed the violence and where the violence occurred, etc. My internship in Washington, D.C. was at a nonprofit that does research and investigation on issues of national and international security. During the course of one of our projects, we were trying to collect some data on conflicts in Africa. We found that although this particular project has the best data, it was not available in a highly accessible form and that made it much more difficult to research. It was really a shame to me that good data would not be used by researchers because it wasn’t accessible enough. That’s really cool because it was a specific problem that you faced and then developed a specific solution at ACLTC. I found that to be the case among a lot of bootcampers because they generally came from a previous career and found that technology could solve the things that frustrated them. I can think of at least three other people in my bootcamp whose capstone project was based on problems they faced in their previous career. Did you find that there was emphasis on job placement throughout the course? I think we were prepared to a degree. Some resources were made available to us: we learned about interviewing, we learned how to showcase our portfolios, which would help us get a job, and go to conferences. Attending a conference after the bootcamp was ultimately what led to my employment. I start my position at Pivotal Labs on Monday. You got the connection through a conference, so it wasn’t directly from a hiring day or anything like that. Was there a career fair or hiring day with ACLTC? There was a day where we all showed off our apps in 1871 and employers came to us so that was actually pretty cool. I think there were a dozen companies that showed up. Did you feel like ACLTC prepared you for that job application and interview process? My situation is a bit of a special case because Pivotal is a polyglot consultancy; they work in a lot of different programming languages and none of the languages that I got interviewed in were languages that I learned in the bootcamp. But I think I had some of the basic programming principles they were looking for in the interview. And of course, I learned much of that through ACLTC. Throughout the interview process, Pivotal told me what I needed to brush up on and learn. The interviewer gave me not only specific instructions at what I needed to be better at in order to merit a position but also he gave me the sources I would need, the books that would provide me with those skills. When Jay is giving advice about how to get your career kick-started, that is advice people should take extremely seriously. They told me to blog and to attend conferences, which is ultimately how I met the folks at Pivotal. I know people tend to think that they will learn to develop and automatically become a developer, but a developer has to be able to get out and talk to people just like anyone looking for a job. Anyone Can Learn To Code, based in Chicago, launches in June 2014, and can turn you into a web developer in 12 weeks. The best news? You don't even have to quit your job. 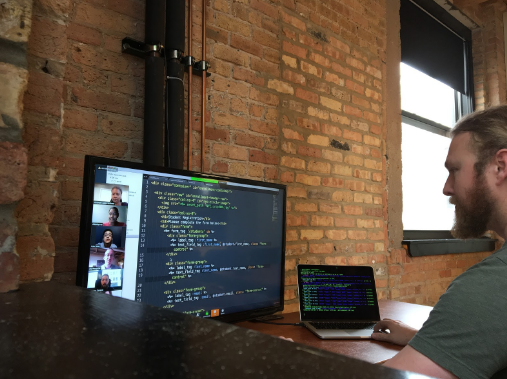 We talk to founder Jay Wengrow about his background in tech and education, his choice to teach beyond "Vanilla" Rails, and how focused Chicago students can learn to code without leaving their jobs. What is your background and how did you end up in the coding bootcamp space? I come from a background in teaching, having a Masters in Education from Loyola in Chicago, and having taught various subjects for some time. But I was drawn to tech, having had some great experiences doing some computer programming as a child. So I went back to school for a Masters in Software Engineering and have been a web developer since then. I am currently a Rails dev at Apartments.com here in Chicago. I’ve had the opportunity to mentor people at work or even friends, and I’ve realized how much I enjoy teaching tech. So on Sundays I’ve started this ACLTC mentoring service- on a Sunday, I’ll tutor anyone remotely for an hour session and then give them enough homework to get them through the week, and I’d be available via email if they have questions. That went really well, but I decided that I want to reach more people by starting a bootcamp. I think a bootcamp will also be a more effective vehicle for learning, because I did find that some students learning on Sundays weren’t as motivated to do all the homework. If they’re in a bootcamp several days a week, it forces them to keep up the learning. Which programming languages will students master in the 12 weeks at ACLTC? When is your first cohort? What is your maximum cohort size? The first cohort will start June 8th. We just launched the announcement of the first course a week ago, and I’m optimistic that we’ll fill up. My maximum cohort size is 20. $8000 for the 12 weeks, but if you apply by March 1st, tuition is only $7000. We do not offer scholarships at this time, but tuition includes our job placement services. We’re growing a network of tech recruiters and business that are interested in our graduates. Additionally, we’ll have experts in creating resumes and optimizing LinkedIn profiles, and we’ll also help students build out their GitHub portfolios, which is hugely important for employers. That will start in the second half of the course. We’re not offering refunds to students who do find jobs, but we’re also not charging recruiters. Are you the primary instructor? As I say, "anyone can learn to code." That means that I’m accepting students with no previous background in code (although it’s okay if they do)! What we need is people who are very dedicated to coding. Is there an interview process? What can a potential student expect to see in the interview process? It starts with users filling out a very brief application on the website. Then I’ll reach out to set up an interview, which will be questions about their background to see what experience they might have, in addition to their interests and motivations, and try to understand how dedicated they are to this course. There won’t be an exam, but we’ll give them a series of screencasts to watch, which are on the site now, and ask applicants to build something simple. Most importantly, we want everyone to be on the same page. Yes, there will be 2-3 weeks of prework, focusing on introductory Ruby and also introductory HTML. Can you give us a quick run-down of the curriculum? There will be two tracks going on at the same time. One is the in-class project that I’m demoing. As I’m instructing, I’ll be building a simple app (like a blog, twitter or a Facebook clone) and students will code along with that. But additionally, each student will choose a project that’s personal to them, which they’ll be coding. I’ll meet with them individually to determine the scope of that project, and they’ll be applying the concepts that they’ve seen in the in-class app to the app that they’re building. When students get to work on their own apps, that’s highly motivating and engaging. Your classes are primarily on nights and weekends, can you explain that choice? The course is 22 hours per week. But we’re doing something unique in that this is not a “drop your job and come to us” bootcamp. It’s an opportunity for people in the Chicago area to keep their jobs and come learn to code. We’ll be offering classes Monday thru Thursday in the evening, and eight hours on Sunday. We will encourage whatever time they can find to dedicate to practice. It will depend on class size, but it will be somewhere easily accessed by public transportation, probably downtown Chicago. What else sets Anyone Can Learn to Code apart? One thing we’ll be focusing on is crystal-clear instruction. Many bootcamps will tell you that their instructors fulfill the role of a guide, not a teacher. In those bootcamps, the student is teaching him or herself. That’s great for some people, but we’re focusing on quality instruction. We’ll be switching back and forth between instruction and practice, so that students can grasp it more easily. Interested in finding out more about Anyone Can Learn To Code? Check out their course page or visit their website. Any other information you'd like to share with Contact Us from Actualize? By submitting, I acknowledge that my information will be shared with Actualize. An email with these details has been sent to Actualize. You've already applied to this scholarship with Actualize.